Today: Vania Ling explains why she's hooked on Plenty More. Until recently, I was not a believer in cookbooks. I thought it was silly to pay for a book when I could scour the internet for free recipes instead. But now I'm a changed person. It started when I bought Yotam Ottolenghi’s cookbook, Jerusalem. I now own all four of his books. 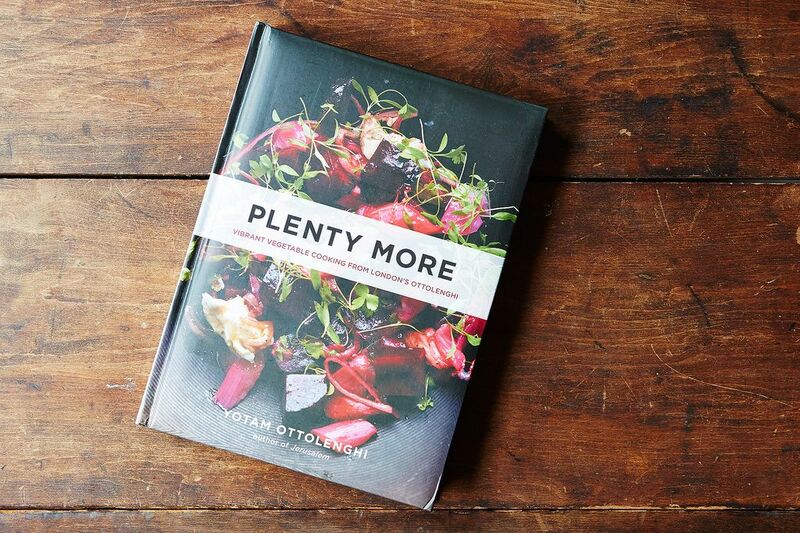 Plenty More builds on the vibrant vegetable recipes in its prequel, Plenty. I've heard Ottolenghi speak, and I've read a few articles he's written for his column on vegetarian recipes in The Guardian. He isn’t vegetarian, but he feels strongly that a vegetable-heavy diet should not be limiting; he calls this the "Vegi-Renaissance." 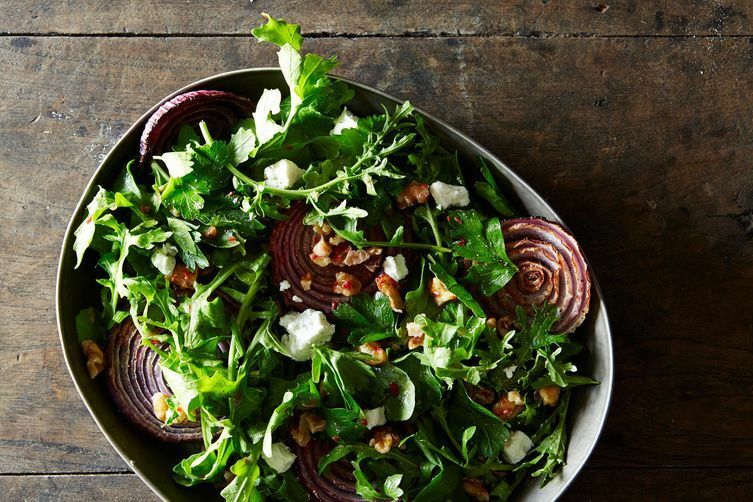 Unlike in Jerusalem, the recipes in Plenty More don’t follow a specific ethnic cuisine. Instead, they draw from many flavors and a variety of interesting ingredients. I like that the recipes are inspired by the flavors of Asia, India, and the Middle-East, but don’t commit specifically to any one of them. Ottolenghi is incredibly creative in substituting traditional ingredients with less expected ones. Who else would have thought of courgette baba ganoush or Steamed Eggplant with Sesame and Green Onion? The layout of the book is quite intriguing, as well -- chapters are categorized by cooking method: tossed, steamed, blanched, braised, grilled, roasted, and baked. One of my favorite dishes in the book is Lentils with Hardboiled Egg -- it's also one of the simplest, displaying a fantastic balance of flavors and textures. The bite of fresh red onion and herby coriander contrasts beautifully with the heartiness of the lentils and their warm, earthy spices. The recipe is brightened with just enough acid to play against the spice and tahini; and I say this as someone who loves to exclaim, “There isn’t enough acid,” in critique of any dish I eat. Ottolenghi suggests that you can have this meal for breakfast or dinner, and I couldn’t agree more. Next I tried a Sprouting Broccoli and Edamame Salad with Curry Leaves and Coconut. I must have made this recipe 3 times to ensure consistency. Perhaps it has to do with my husband’s aversion to curry leaves, but it wasn't our favorite, as curry leaves have a very distinct taste. The first time I made the recipe, I used desiccated coconut; the second time, I shaved fresh pieces of coconut into the dish. Still, it lacked the depth of flavor that we hoped for. More: Want to know more? Read our interview with Yotam Ottolenghi. Ottolenghi's Mixed Vegetables and Yoghurt with Green Chili Oil is similar to recipes from his previous books, in that it's full of flavor and a real crowd pleaser. The combination of yogurt and roasted vegetables is fantastic, and I love the extra heat that the green chili it adds to the recipe. I also attempted the Roasted Brussels Sprouts with Pomelo and Star Anise recipe a few times, once with ruby red grapefruit, which has a slightly more pronounced flavor compared to the pomelo. This recipe wasn’t a favorite of ours. I was drawn to the sweet and spicy Asian influence of the ingredients, but it didn't wow us, and the bitterness of the Brussels sprouts against fresh citrus and sweet syrup was slightly odd. Once I got started with Plenty More, it was difficult to stop. I tested a variety of other recipes from the Alphonso Mango and Curried Chickpea Salad to the Crushed Puy Lentils with Tahini and Cumin. Each recipe is served with a rich explanation of the dish and accompanying visually stunning photographs. It is simply a beautiful book. I own Plenty, Jerusalem, and Plenty More. With two kids and a full time job, I have to do most of my cooking on the weekend to get ready for the week. When I find myself in a food rut (which is often!) these three books are so inspirational for giving fresh new ideas! The recipes, pictures, and ingredients get me thinking creatively again and I agree with what others have said, although the lists of ingredients look long, he reuses the same spices, so once you're stocked, you're set! I love this cookbook. I got it just a couple weeks ago and am working my way through the recipes. I eat a lot of vegetables, and this cookbook is teaching me to think about new combinations -- tomato and pomegranate seeds together, and butternut squash and nigella seeds -- that I never would have thought of on my own. This cookbook is great for anyone who is looking for something new to do with vegetables or wants to get excited about eating healthy again. I adore this book. People bemoan the long lists of ingredients, but if you make a trip to an ethnic market, you can stock up on just about everything you need (pomegranate molasses, nigella seeds, ras al hanout, za'atar, sumac, coriander) for very cheap. I have most of the spices, grains, and condiments he uses on hand, and I improvise a lot with the recipes and invent new variations all the time. It's the cookbook that truly keeps on giving--at least in my fully stocked household! Ortolan, I'd definitely agree that once you make atrip to the ethnic market and stock up on all the spices and eclectic ingredients, these recipes are very rewarding! I love sumac and za'atar! I received this book as a gift this year. It has beautiful pictures and excellent prose. The recipes, however delicious they may look, contain such long lists of (sometimes uncommon) ingredients that I often question whether it's worth it to spend the money to try the new recipe. Wow, your husband has an aversion to curry leaves, but you made the dish three times?! Some dedicated reviewing!